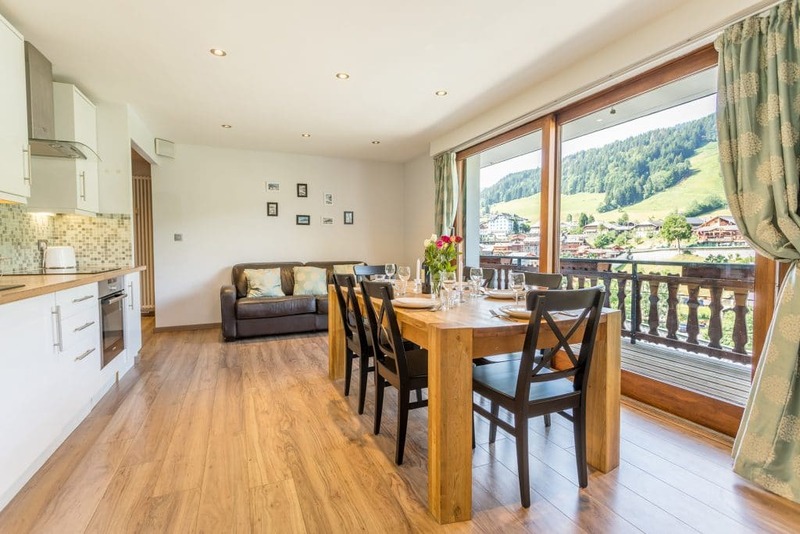 New to Mountain Xtra last winter apartment Centre is a well set out large, tastefully renovated property offering a convenient location and stunning panoramic views from the main living area and large balcony. 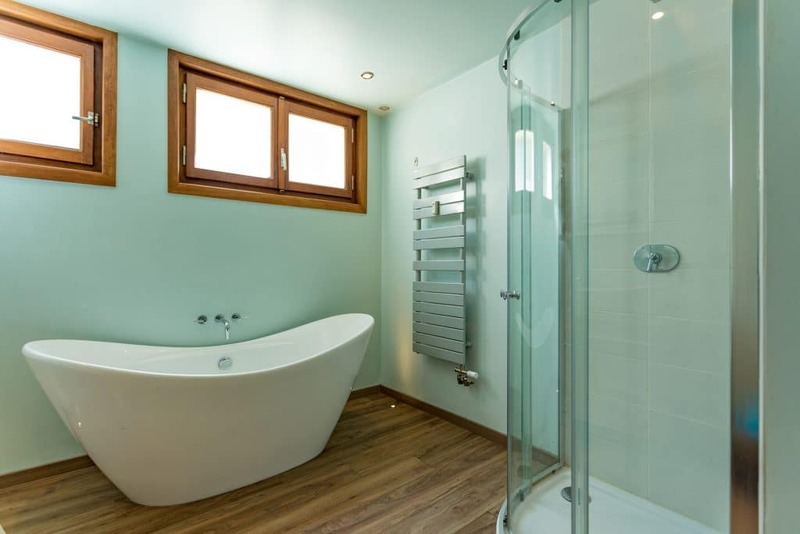 It comfortably sleeps 4 (or up to 6 people with the use of a sofa bed). 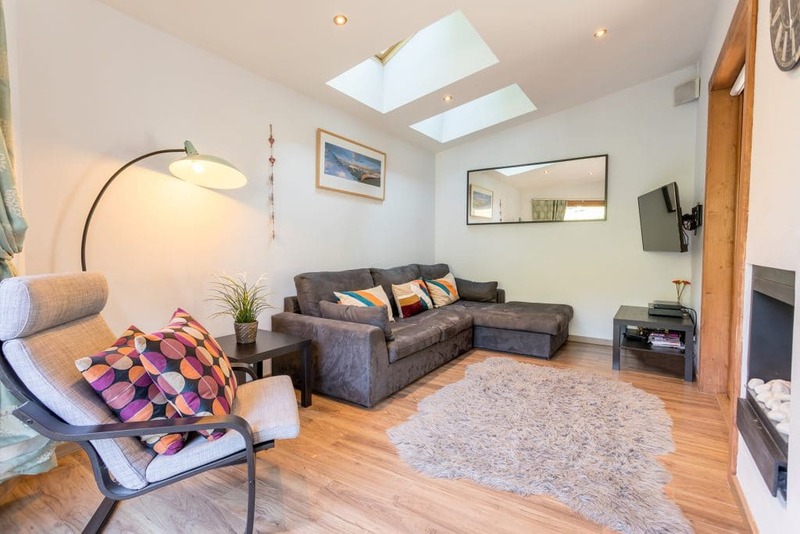 A perfect space for families or small groups. 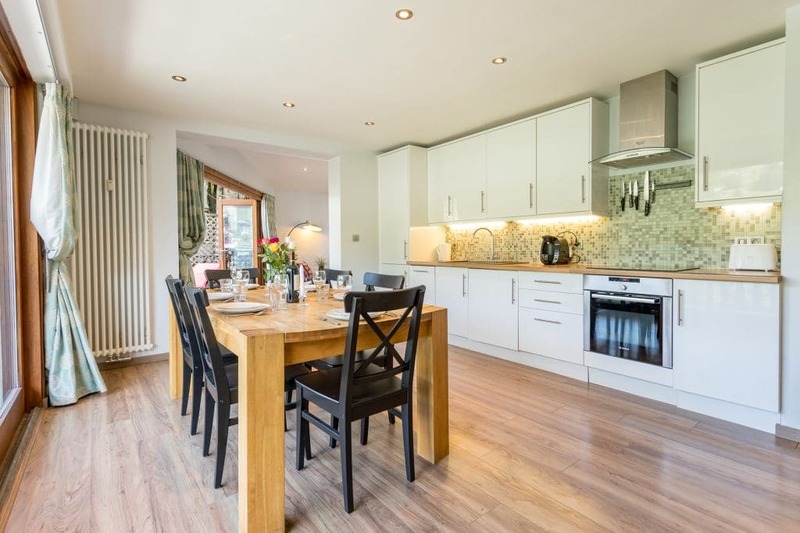 Open plan living with well equipped modern kitchen, large living area and dining space. 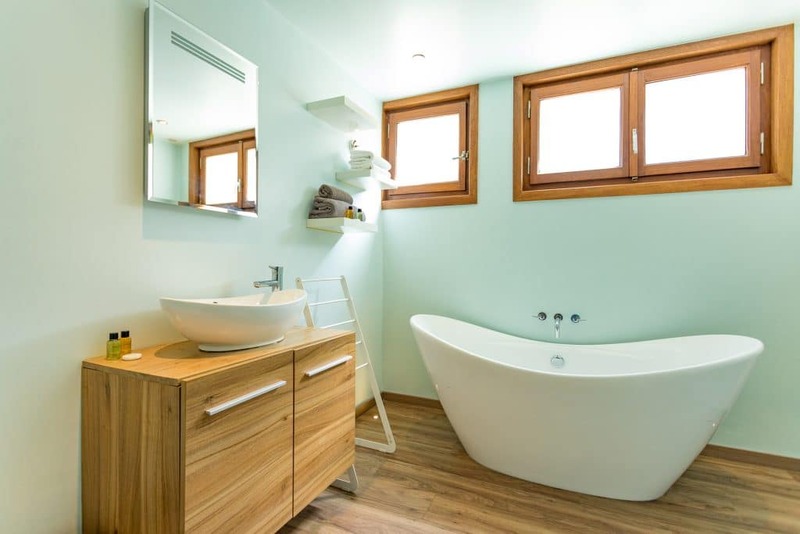 2 comfortable bedrooms and a large bathroom. Bi fold doors lead to a large sunny balcony with stunning views. 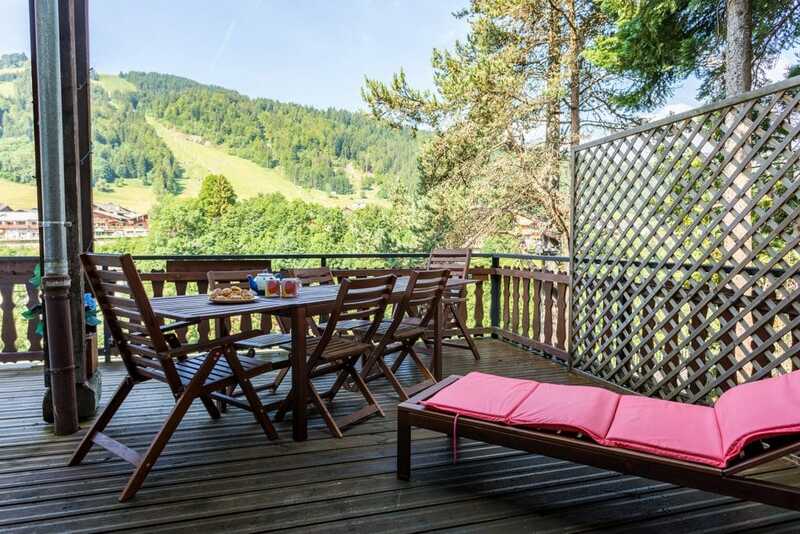 Quick and easy access on foot to the town and Super Morzine ski lift. The open plan living area is set in an L shape with the kitchen and dining area leading into the living area. 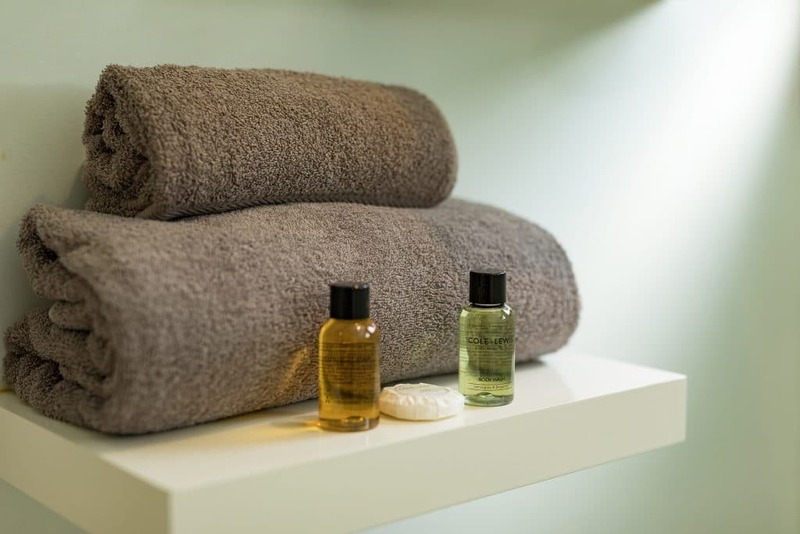 The modern well equipped kitchen with integrated fridge and freezer, washing machine/tumble dryer, dishwasher, oven and hob makes catering for your group a breeze. The large dining table comfortably seats 6 people and benefits from being located next to balcony sliding doors to make the most of the wonderful views. Lounge area offers a comfortable area to relax in with L shaped sofa bed and arm chair. 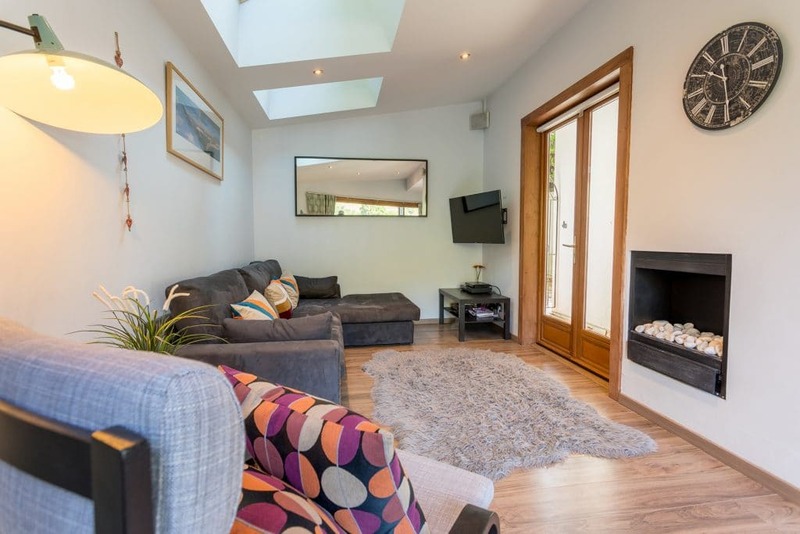 A feature fire place is a nice addition and large flat screen tv with UK tv channels, dvd player and wifi provide all the entertainment you may need. 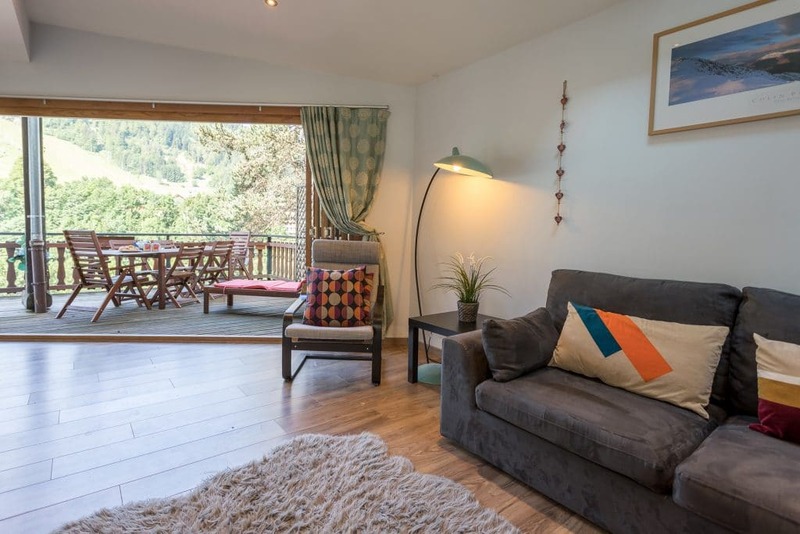 Bi-fold doors from the lounge area open back onto the balcony which is large enough for outdoor dining and sunbathing and of course taking in those stunning mountain views. 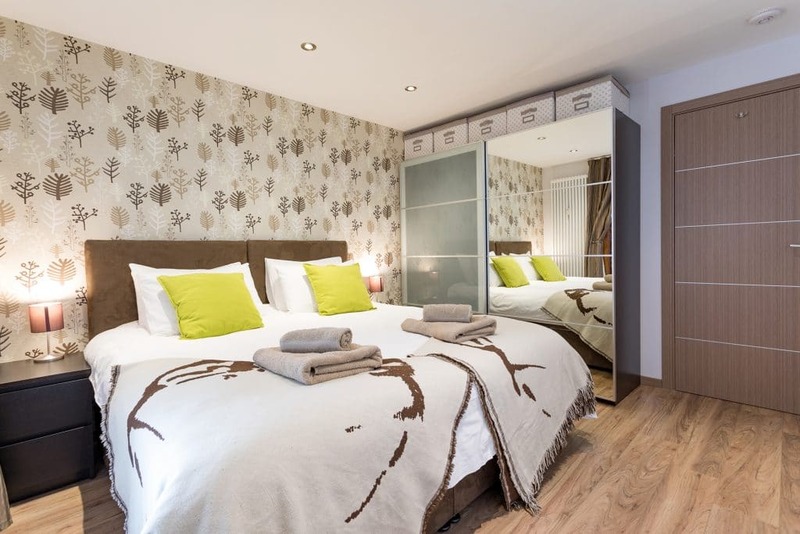 Bedroom 1: is a spacious bedroom with zip and link beds offering a twin or super king sleeping arrangement. Build in wardrobes and patio doors leading to the comunual court yard also feature. 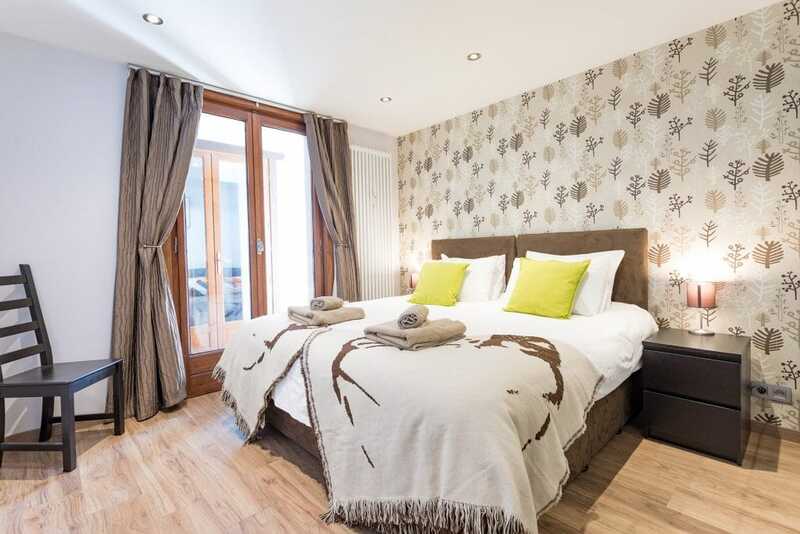 Bedroom 2: Located at the front of the apartment with zip and link beds offering twin or queen size sleeping arrangement. 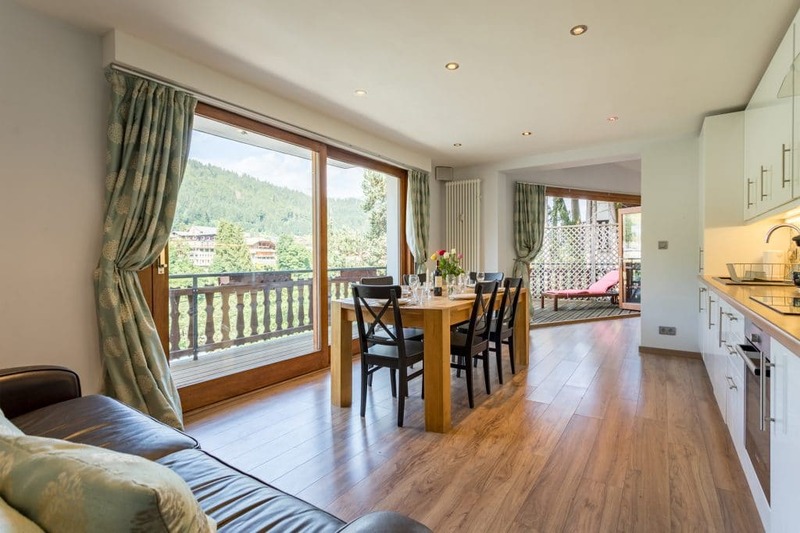 French doors to the balcony offer further glimpses of the wonderful views. 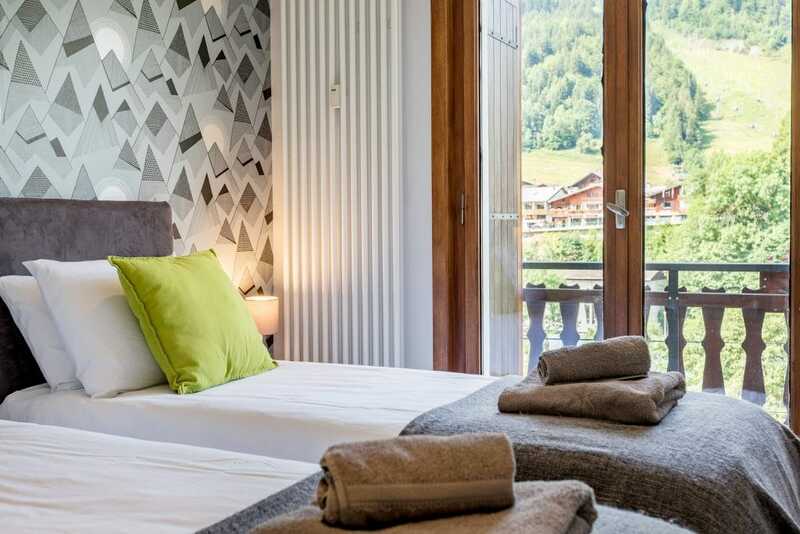 The apartment is located on the 2nd floor of a traditional apartment building at the Morzine end of the road that runs between Morzine and Montriond very close too the super Morzine ski lift. Access is via the main entrance and there is no lift. 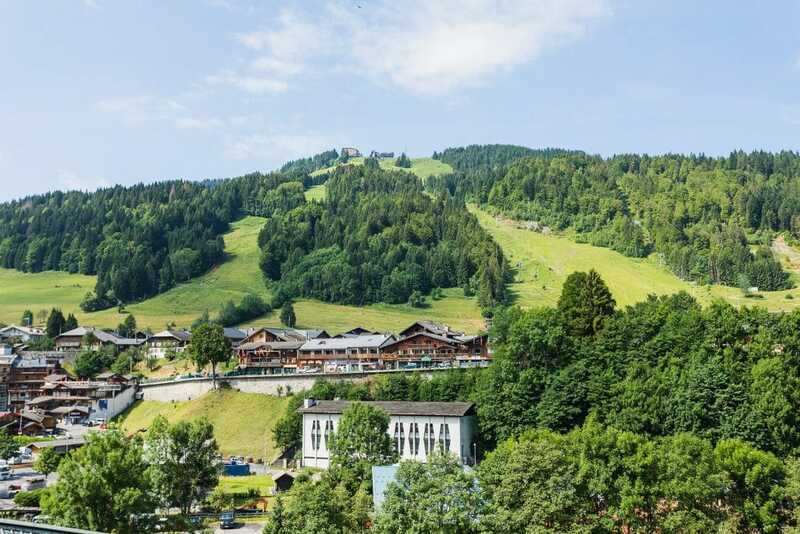 A car is not required as the town centre and ski lifts are an easy 8 minute walk, from the building and the supermarket, shops and restaurants also all within easy accessible walking distance. 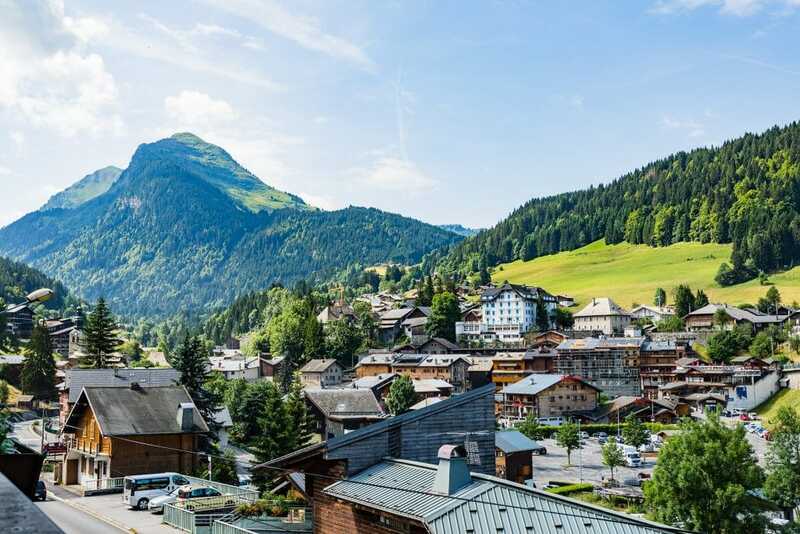 The apartment is also located on a free ski bus route. 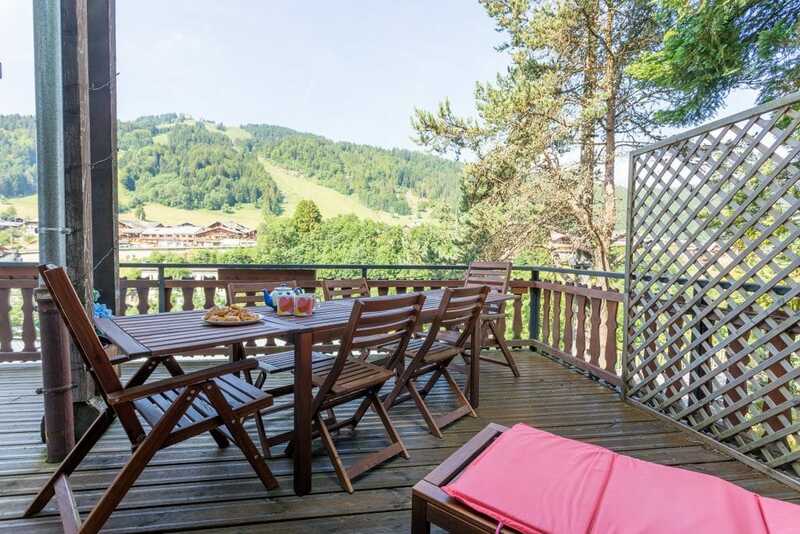 Great spacious apartment in Morzine. Very well equipped kitchen. 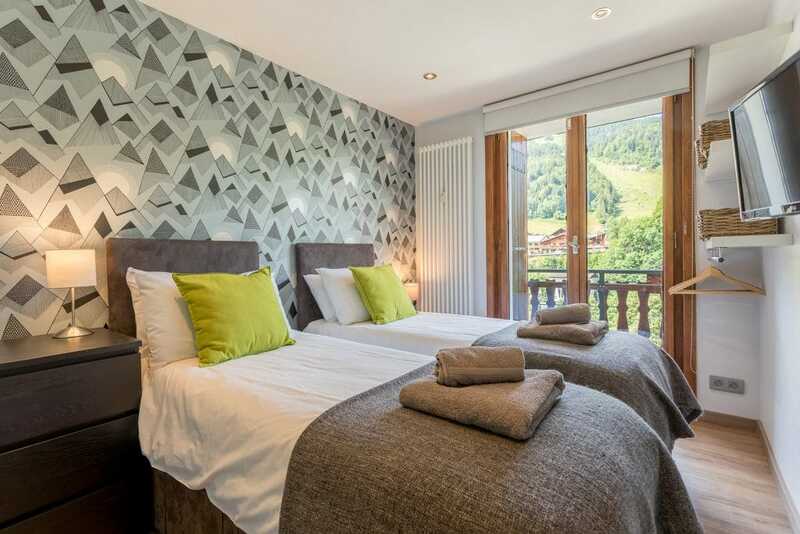 5 min walk to the Super Morzine telecabine ,2 min walk to Carrefour, 5 mins to some good bars on Rue du Bourg and pretty much the whole of central Morzine is within reach. 10/10 would stay again.